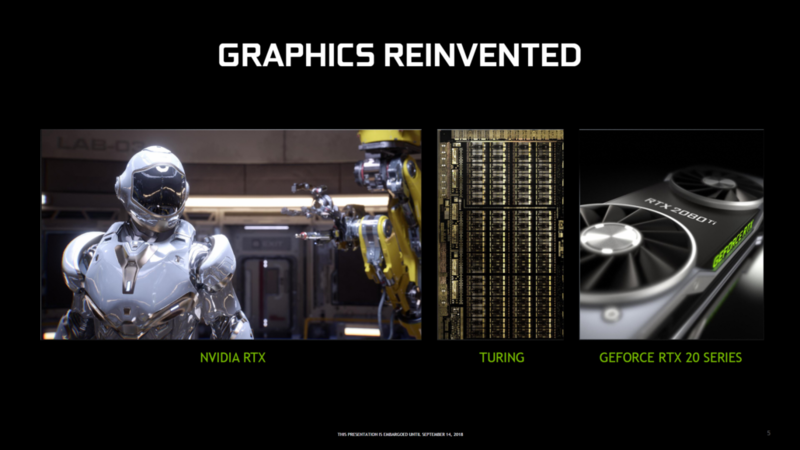 Keeping their tradition alive of launching a new graphics architecture every two years, this year, NVIDIA announced the Turing GPU. Primarily aimed at the consumer sector which includes both Quadro and GeForce segments, the Turing GPU is a big departure from traditional GPU designs. With Turing, NVIDIA is targeting several markets, but the primary driver for mass adoption of the new RTX features would be gamers. The Turing core is more than just new features, it is based on a refined process node, provides much better efficiency than its predecessor, has newly dedicated hardware-based accelerators and comes with a new streaming multi-processor core which utilizes both traditional and Tensor cores for AI to help provide better visuals without the cost of losing a whole lot of performance in graphics intensive gaming titles. It took NVIDIA 10 years worth of time and money to turn this dream into a reality and with the first RTX products soon going to be in consumer’s hands, we dive into the latest GeForce graphics cards to find out not only how they perform, but also how worthy are the newly talked about features for traditional gamers. Today, we will be taking a look at the NVIDIA GeForce RTX 2080 Ti and GeForce RTX 2080 Founders Edition graphics cards. Both cards were provided by NVIDIA for this review and we will be taking a look at their technology, design and performance metrics in detail. 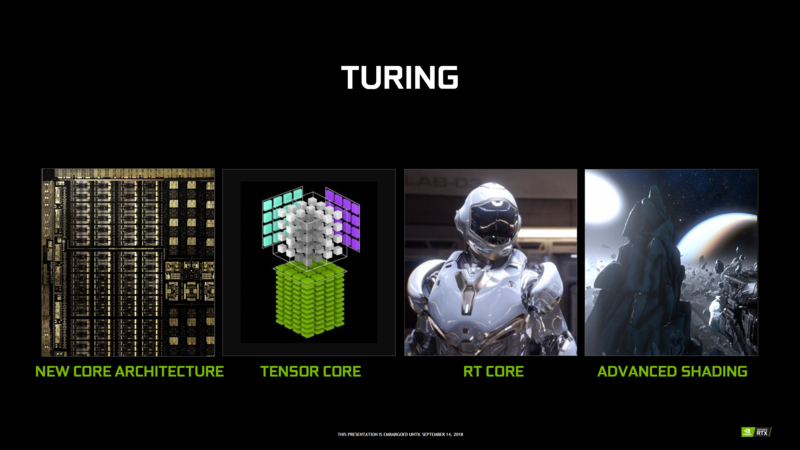 Turing isn’t just any graphics core, it is the graphics core that will be the foundation of future GPUs. The reason is that Turing does so many things which will be important to gamers and developers in the coming years and GPU makers will eventually have to adopt some of the new tricks that the Turing GPU does to keep up with the demand of providing faster and more efficient GPU performance by applications. The technologies mentioned above are some of the main building blocks of the Turing GPU, but there’s more within the graphics core itself which we will talk about in detail. Before moving forward, it should be pointed out that NVIDIA’s Turing GPUs and NVIDIA’s Volta GPUs have a lot in common, but while Volta is primarily focused at the High-Performance Computing sector, the Turing GPU is designed to be accommodated in the consumer segment. There are also many ways in which Turing has been refined over Volta to offer better gaming performance and higher efficiency.